How can you assert your personal needs while also caring for the relationship? It is very difficult to balance individual and relationship goals, so answering this question is fundamental if spouses want to feel respected while in a permanent relationship. Through this book, you’ll learn that the secret of a steady relationship is not to avoid fighting, but to process disputes in such a way that both sides needs are included and respected. 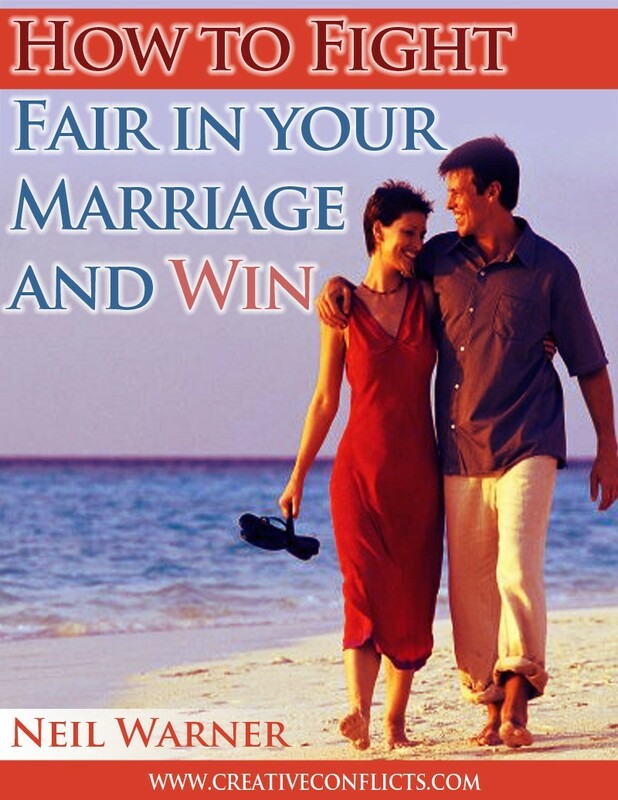 In this way, you can “fight fair” without allowing anger to destroy love and trust. Learning the skill of fighting fair will restore your confidence in the possibility of defending what you value and need, while at the same time, you will listen to and respect the other person’s needs. Perhaps you want a peek into what the content of the book offers? Maintain mutually respectful behavior. Do not call names or accuse your partner of lying. Do not say what you believe your partner is thinking. Each person speaks for himself or herself. Avoid psychological descriptions of the other person (“Every one of your friends says you are a big spender”). Avoid laying guilt or accusations of bad faith. Make eye contact, verbally acknowledge your spouse feelings (apologizing when appropriate), and ask questions to be sure each has understood the other person’s feelings. Repeat verbatim what was said by the other to confirm that what is said is what was understood. If anger escalates, take a brief time-out (from half an hour to no more than 24 hours) and state a definite time to return to the issue. And, there are more! You can have this chart, ready to print with its 10 Rules of Peaceful Engagement, to channel angry discussions into civilized and respectful conversations…We all need to learn this wise practice to dissent without attacking the other, and making of the life partner an enemy. Right?